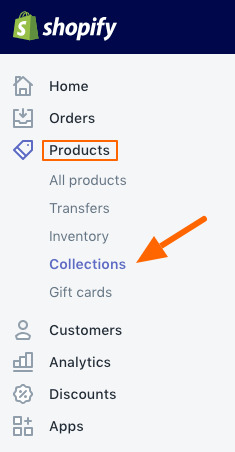 When activated, all collections will display the same menu. 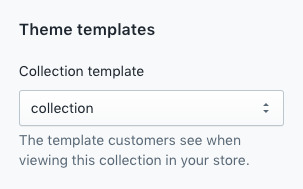 If you have the need to show a different menu on another collection page, you can create an alternate collection template. This tutorial will walk you through the steps needed to create an alternate collection template. 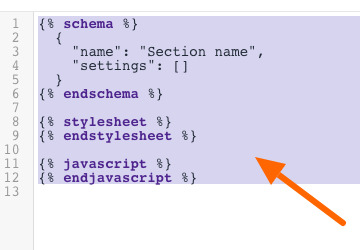 You can build as many as needed, each will need unique filenames for the section and template file. 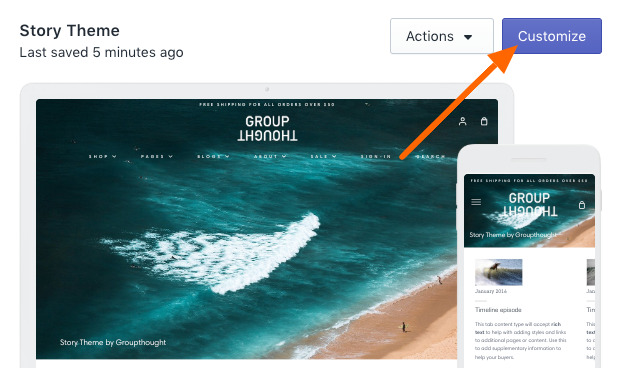 For this to work, you'll need to be working with a live/published theme. Draft themes can't show custom templates unless you create the templates on both the live and draft themes. 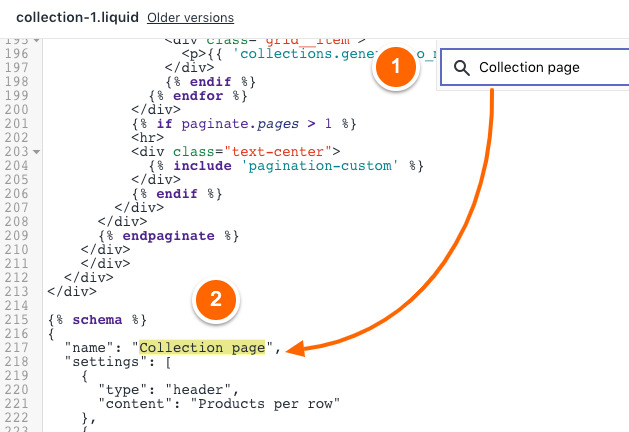 There will be two main steps using the Code Editor when creating a new collection template. 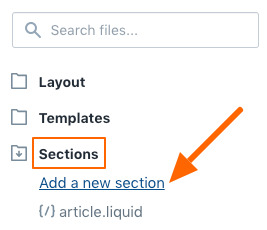 One will be creating a new section file and the second is an actual new collection template which links to the section file. 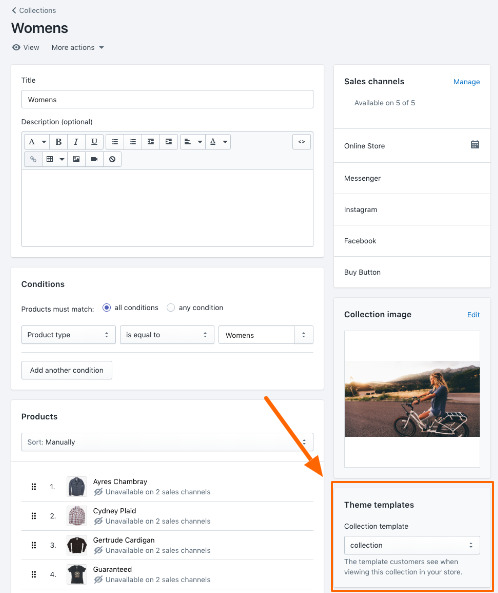 When we create a new section file for the alternate collection template, we will use the same code from your theme's existing collection section file. 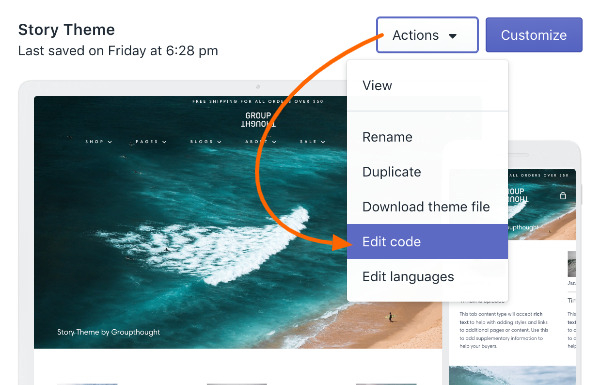 Let's begin by creating a new section file, and then copy the code from the theme's existing section file into the new file. 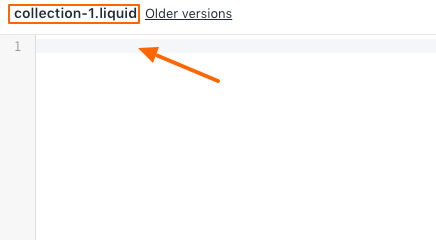 After deleting the default code, we will copy the code from the theme's existing sections/collection.liquid file and paste that code into our new collection-1 file. After you've pasted the code, save the file. Now that we have created a new section file and added code from our original section file, we can create the new alternate template. This file will reference the section file created in Step 1. We're finished with the Code Editor. Now let's assign the new template to the collection which will have the custom sidebar and settings. Use the Save button at the top to complete. 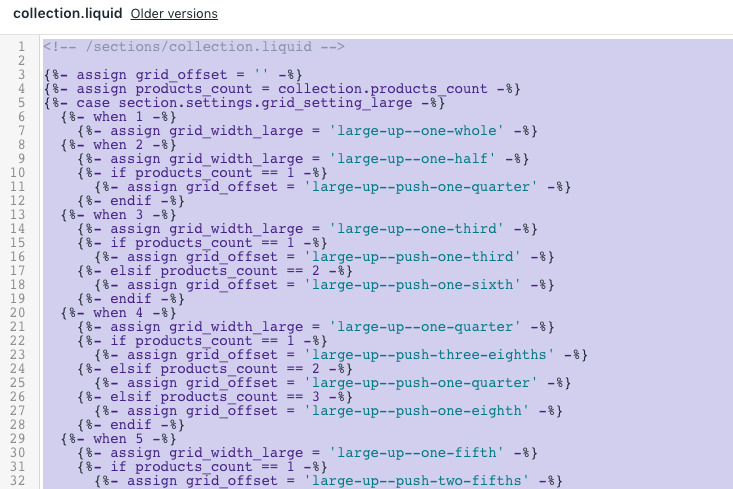 Browse to the collection that has the custom template assigned. This is important, make sure you browse to that collection in order to see and set the new settings. 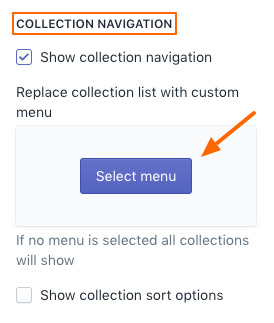 You'll know all your steps were completed correctly if you see the Collection custom section option rather than the regular Collection page option here. 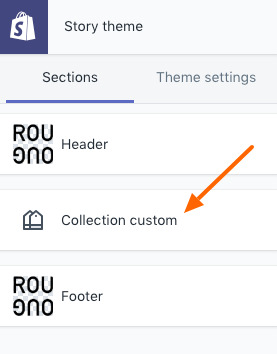 Now you can customize the sidebar or any of the collection settings just for this collection. If you want to use this template on another collection as well, that's fine. Just remember it will share the settings for any collection that has collection.alternate-1 assigned. 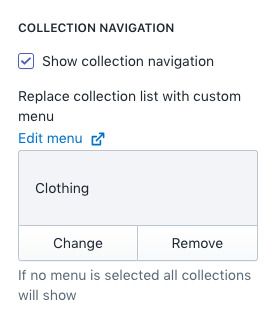 Changing a setting will affect all the collection pages that use this template. 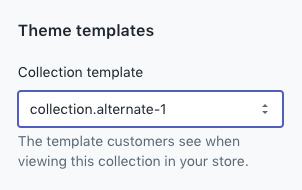 Important: All collection settings will be reset for this new template (collection.alternate-1). Adjust all collection settings and tag filter content etc. 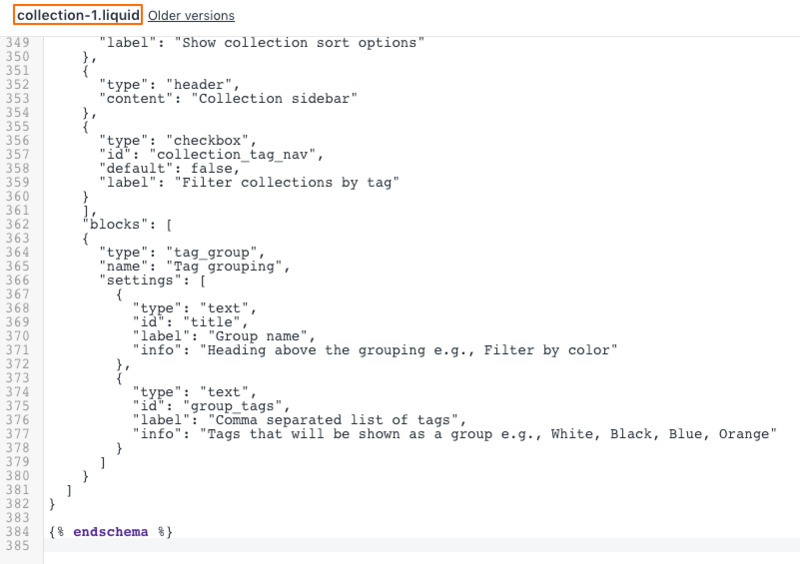 to make this collection page look similar to the rest of the collections using the standard collection template. You can use the same code from the link in Step 1. In Step 3 you would also choose that new template. Repeat for additional templates, always use new section and template filenames.